Over 30,000 public school teachers in Los Angeles went on a citywide strike Monday, demanding better pay, smaller class sizes, increased funding for support staff and a limit on charter schools in the district. The strike – the first in the district in 30 years – is affecting some 500,000 students in the nation’s second largest public school district and is part of a larger nation-wide movement seeking better funding and resources for public schools. Initially planned for last week, the strike was put on hold to allow last-ditch negotiations to move forward. But the teachers’ union – United Teachers Los Angeles – and district leaders failed to reach an agreement. “Here we are on a rainy day in the richest country in the world, in the richest state in the country, in a state that’s blue (Democrat) as it can be – and in a city rife with millionaires – where teachers have to go on strike to get the basics for our students,” Alex Caputo-Pearl, the head of the teachers’ union, told a news conference early Monday. Much of Los Angeles’ student population is poor and underserved. About 80 percent of students qualify for free or reduced-price lunch and many wealthier families in the district have chosen to send their kids to private schools. With the cost of living in California on the rise, United Teachers Los Angeles is demanding a 6.5 percent increase in teachers’ salaries. The union has said the raise for teachers should be retroactively applied to last year’s salaries and has also floated an additional 2 percent bonus for this year. Teachers in Los Angeles have complained that poor funding for school supplies has forced them to purchase materials for the classroom out-of-pocket, an issue that’s been raised by education leaders across the country in recent years. Union leaders have argued that the city has plenty of money on hand to meet their demands, citing an independent report that found the district has $1.8 billion in reserves. 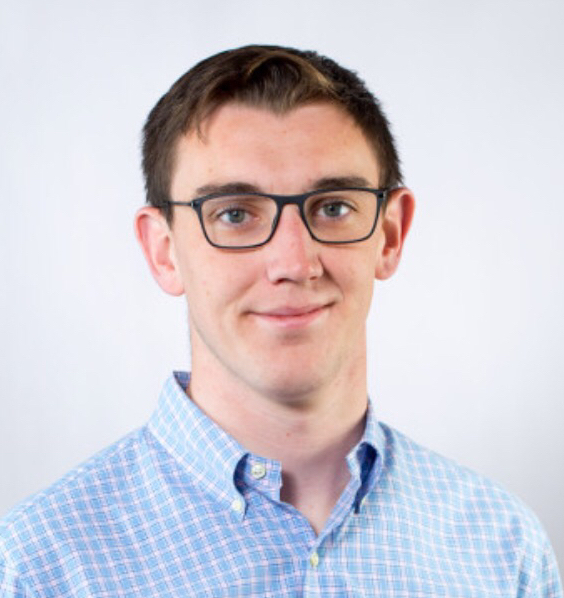 Superintendent Austin Beutner, however, has argued that the union’s proposals would plunge the city into bankruptcy. United Teachers Los Angeles is also calling for additional teachers to be hired to address the growing problem of overcrowded classrooms. In the city’s high schools, the maximum class size is 42 students, which teachers say is far too large to allow them to give proper attention to individual students, lowering the quality of the education for everyone. The district has proposed lowering the cap to 39 in High Schools and from 36 students to 35 in grades four to six. The offer was also rejected by the union. Because of budget cuts, some schools in Los Angeles lack nurses, librarians, counselors and other support staff that teachers say are necessary to a well-functioning educational environment. In their final offer to the union, the district offered to guarantee that all elementary schools have at least one nurse, that all middle schools have at least one librarian and that high schools see a slight increase in academic counselors. That offer was also rejected by the union. Across the country, budget cuts, stagnant wages, and poor infrastructure have helped fuel similar movements in states like West Virginia, Kentucky, and Oklahoma. Education Secretary Betsy Devos – who herself is a millionaire and has never sent any of her children to public schools – has been a vocal advocate of charter schools. The publicly subsidized, privately run schools are another sore spot of public educators in Los Angeles and around the country, who say they drain the resources of public schools and further alienate underserved communities. 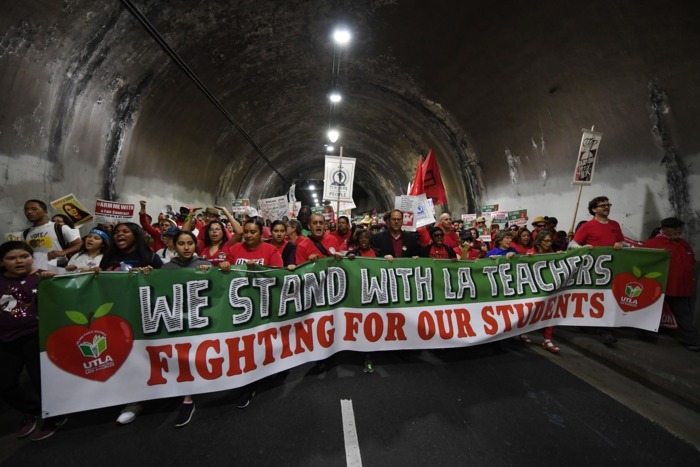 Union leaders in Los Angeles have painted their fight for better funding as something that’s about much more than local politics, arguing the U.S. is at an impasse and that the future of quality public education everywhere is at stake. Schools will remain open full-time during the strike and will be staffed by administrators, volunteers, and 400 newly hired substitute teachers. A safety panel set up by U.S. President Donald Trump in the wake of numerous school shootings recommended in December that schools consider arming staff, using veterans as guards and reversing Obama-era guidelines. The Federal Commission on School Safety panel, led by Education Secretary Betsy DeVos, was set up after the February massacre in Parkland, Florida, when a former student shot dead 17 people, sparking mass gun control protests.